The following text was written by A.L. Rees in 2002 as an overview of the work produced during the first decade of the London Film-Makers’ Co-operative. 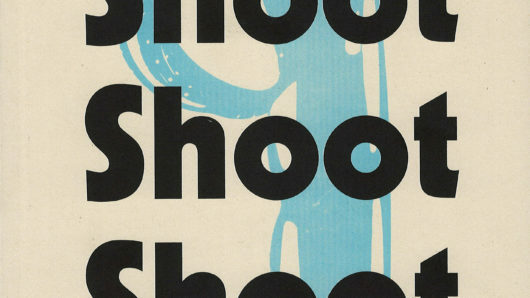 It was originally published in the broadsheet newspaper that was distributed free to audiences on the “Shoot Shoot Shoot” tour in 2002-04. A.L. Rees was the author of “A History of Experimental Film and Video” (1999/2011), a Research Tutor at the RCA, and a tireless advocate who was always extremely generous in sharing his knowledge and understanding of film and the moving image. Before the London Film-Makers’ Co-operative was founded, only a few inspired individuals such as Margaret Tait, John Latham and Jeff Keen made experimental 16mm films in the UK during the early 1960s. Filmmaking was costly and time-consuming, and had little status as a serious art form. With limited technical means, these artists created their own kinds of lyric cinema, hand-painting the film as well as shooting live action. 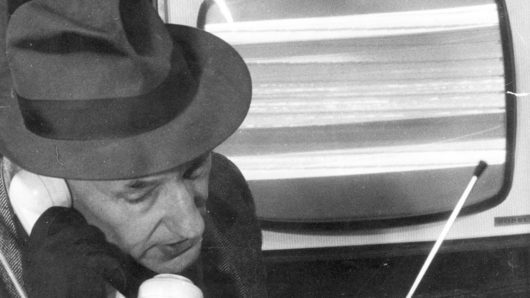 Their work was sadly little known at a time when even Antony Balch’s films made in collaboration with William Burroughs had few outlets beyond the London arthouse cinemas run by Balch himself. By the mid 1960s, however, interest in underground film grew across the counter culture. News of the US and European avant-gardes filtered through the underground press and the colour supplements, and film clubs began to show some of the films themselves. The LFMC was begun by a small group of such enthusiasts who screened films at an avant-garde book shop in Charing Cross Road in 1965-66. Shortly afterwards, augmented by David Curtis’ programmes of experimental film at the Drury Lane Arts Lab, it attracted more filmmakers and began to live up to its name. Stephen Dwoskin and Peter Gidal brought from New York an authentic whiff of Andy Warhol’s Factory. Others, like Malcolm Le Grice, used found footage and raw projection as an extension of painting and sculpture. 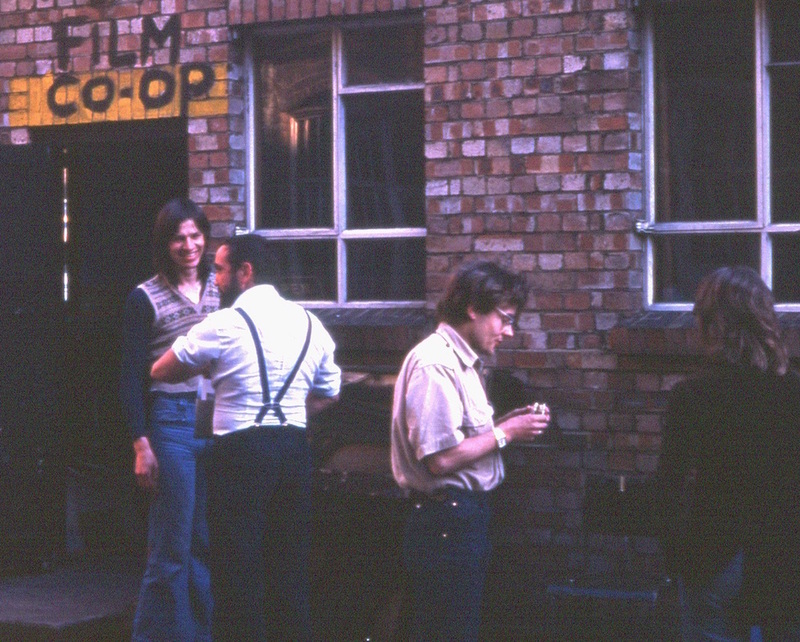 By 1968-69 the filmmakers were in control of the Co-op and more films were being made. 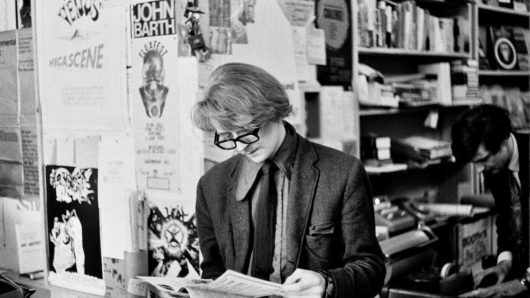 When it moved north to Robert Street, on the fringe of Camden Town, in 1969, the LFMC was just one among a cluster of radical arts groups housed by the New Arts Lab, but it was already developing its own ethos as well as the facilities to shoot, process and edit films. With the closure of the Arts Labs, the LFMC split off on its own. It moved successively through a series of former industrial spaces: ‘the Dairy’, ‘the Piano Factory’ and finally ‘the Laundry’, its home in Gloucester Avenue for twenty years. In the crucial years of 1971-75, it occupied austere studios in Prince of Wales Crescent. Each location stamped its shape on the films that were made there, from the meltdown of media in the ‘expanded cinema’ of the two Arts Labs, to a more purist climate at Fitzroy Road. En route, the LFMC effectively invented a new avant-garde genre, the British Structural / Materialist film, and its tough and demanding screening programme often featured the latest work, straight from the workshop. Filmmaker Guy Sherwin stands at the door. LFMC films looked strikingly hand-made. Many films of the early 1970s carry distinct traces of their own printing and processing, as in the sparkly film surface that mirrors the watery image of Mike Dunford’s Silver Surfer. Annabel Nicolson pulled the film through the printer to make the colour tapestry of Slides, while successive reprinting of the film leader numerals in Guy Sherwin’s At the Academy creates the illusion of bas-relief depth on the flat film surface. Le Grice emerged as a master-printer whose rich overlays of colour primaries for Threshold and Berlin Horse were similar to the loops used in his live-action three-projector performance in Horror Film. The notion of the direct print survived in later professional lab-printed work by Le Grice and others, and in the images of some who never or rarely used the LFMC workshop, including such different artists as David Larcher, Stephen Dwoskin and Chris Welsby. Larcher’s dissolute, ripe and wandering colour, Dwoskin’s photogenically crisp tones and Welsby’s insistently unmanipulated print, struck direct from the negative, all attest in distinct ways to the primacy of process in the LFMC. These features distinguished the British avant-garde film from its American progenitors, whose films were rarely seen until the American critic P. Adams Sitney toured England with his New American Cinema Exposition in Spring 1968. Six months later, those same films returned to England when Carla Liss took up her post as the LFMC’s first paid employee. With the American work now available in Britain, Liss was able to establish LFMC distribution as a more sustainable operation. Temperamentally, however, the LFMC felt closer to the similarly material-based experimentation in Germany, Austria and Poland. By contrast, the American underground, from Kenneth Anger through Maya Deren and Stan Brakhage, had favoured the personal film of inner consciousness, or ‘psychodrama’. Warhol turned the genre on its head, replacing the subjective dream with the ‘fixed stare’ of the camera-eye. Subsequent films by Paul Sharits, Michael Snow, Hollis Frampton, Ken Jacobs and George Landow created a new ‘structural’ avant-garde that had an enduring influence on international filmmakers. The New American Cinema had powerful advocates, including Sitney and Annette Michelson. In their persuasive and informed essays, the medium of experimental film was also a model of mind. For Michelson, the avant-garde captured new forms of appearance and awareness in a radically phenomenological cinema, as exemplified in the self-referential films of Michael Snow. The title of Sitney’s magisterial “Visionary Film” also stresses the American avant-garde’s subjective moment and its capacity to evoke ideas. By contrast, the British avant-garde was empirical rather than metaphysical. Here, a film was not so much an illusion in the mind of the spectator, as a construction and projection thrown as an image on a screen. This conviction emerged directly from the art school background of most of the LFMC filmmakers. Few of them were interested in feature films and they had no ambitions to enter the film or television industries. Film for them was primarily an art medium. Filmmaking had a series of acts or stages, each of which implied a new range of strategies, from shooting to printing and projecting. These could be combined to make a film or separated to make an event. There was no real equivalent to the psychodrama at the LFMC. Psychodrama was a literary model and by contrast the LFMC sprang directly from the visual arts. The few exceptions are more playful than traumatic, and include Bruce Lacey’s ‘family’ films and the childlike humour of the films and performances of Jeff Keen. After the short, intense lyricism of Alone and Moment, Stephen Dwoskin turned to extended portraits with a documentary touch. David Larcher’s films are documentary-diaries or personal travelogues, loosely structured and of long duration. Such tactics disrupt, even as they elicit, the spectator’s identification with the lure of the screen image. Peter Gidal, more extremely, rejected psychodrama along with all cinema which denies its own illusionism. The next generation (which included William Raban, Chris Welsby and Annabel Nicolson) came straight to filmmaking from the art school studio. The art schools were in a state of flux as waves of new art hit them throughout the 1960s, from abstract expressionism to Pop. At the same time they kept up a studio tradition which went back to William Morris and the Arts and Crafts movement of the 19th century. This regime encouraged ‘hands-on’ direct experience and a respect for materials. As older art forms lost their appeal, under the impact of the mass media, some younger artists turned to film, video, sound and photography, which were largely free of high art associations, and modernist in their impersonal technology. Each was treated like any studio material, in the artisanal manner. Film, for example, could be hand-printed, stained, used as sculpture, or looped. It was literally a ‘plastic medium’, in the jargon of the Bauhaus, as well as a recording device. For this generation, led by Le Grice, the physical and as yet unexplored aspects of film were as important as its ability to make a representational image. The aim was not just formal. By challenging the ways in which film representation appears, the viewer is made aware of the process by which the image is coded. The visual illusion is transformed into an experience of time. New structures explore and question the passive role of the cinema spectator, and look to a participatory rather than semi-hypnotic state of viewing. Each of these goals brought the film avant-garde close to the growing conceptual art movement in the late 1960s and early 1970s, characterised by “lists, grids, catalogues, counting games and random procedures” (Peter Wollen). These ideas, at the margin of the arts, were an alternative to official culture, cinema language and its power to manipulate the audience. In an early film, Castle One, Le Grice used found footage of industrial labour and of politicians to show that film is a social object or construct. No image is neutral, in this view. A flashing light bulb in front of the screen also means that “the awareness of the audience is returned to the actual situation (watching a film) by reference to the bulb and the perceptual problem which its flashing creates” (Malcolm Le Grice). Some of these and other deconstructive ideas entered the LFMC orbit from concept art. This diverse movement included many artists who made films, notably Ian Breakwell, David Dye and Tony Sinden. Most were born in the early 1940s, and were part of a generation that also included Le Grice, David Curtis, Derek Jarman and David Hall (the founder of British video art who was at this time a filmmaker and sculptor). For Dwoskin, Gidal and Larcher, film was their major medium, while others crossed media barriers into live performance and installation art. On the south coast, Jeff Keen, Jim Duke and Tony Sinden founded the Acme Generating Co. for expanded cinema and performances in 1967. In 1969-70, Le Grice and his students made ‘pre-production’ films, or what David Curtis called “making films with projectors”. This was in the spirit of the Arts Labs, which hosted the LFMC until 1971, and where all the art forms mingled promiscuously. When film went off on its own it lost much of that interaction, even as it developed a new independent ethos and produced, for the first time, a distinct group of LFMC filmmakers. This new direction appeared in 1973 as ‘Filmaktion’, but was seeded three years earlier by tutor Malcolm Le Grice at St Martins School of Art, where his students included William Raban, Gill Eatherley, Annabel Nicolson and Marilyn Halford. Around these circulated others from the London art schools, such as John Du Cane, Chris Welsby, Jenny Okun and Anne Rees-Mogg. The purist, if not puritan, elements in the structural avant-garde were not their only feature, as time now shows. Seen today, their strict forms also have more playful ingredients. The ‘room films’ of the time are revealing and moving documents of typically spartan domestic space. They include John Du Cane’s Zoom Lapse, in which a window and kitchen table are densely superimposed until they white-out; the deep colour of John Smith’s Leading Light; and the glimpses of dailiness in David Hall’s metrical Phased Time2. Peter Gidal’s Hall is a canny example, drawing the viewer by selective framing to iconic photo pin-ups (Godard, the Rolling Stones) and to simulacra for the film itself as a projected sound-image event (a desklamp, an intermittent door bell). Marilyn Halford, in such films as Footsteps (a cat and mouse game with the camera as pursuer) and Gill Eatherley’s light-play in Hand Grenade, also shared some of Annabel Nicolson’s unique insights into transience. Their insistence on the fragility of the image was differently developed by the three and four screen films of Le Grice, Raban and others, in which the projectors are moved and overlapped during the screening, or in which the filmmaker interacts with the movie. Nicolson read by flickering match-light (Precarious Vision). 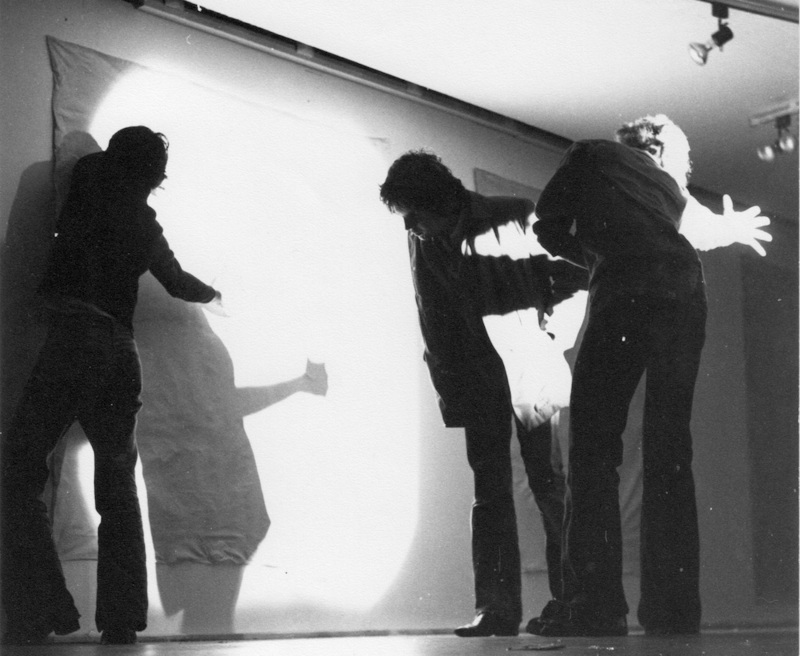 Le Grice created colour-layers by moving his arms and body in front of three projector beams (Horror Film 1), Raban measured screen space by pacing out the film as it was projected (Take Measure), Welsby constructed large scale installations of projectors in portrait format (on their sides), to show panoramic shots of the sea (Shore Line). At one extreme, Welsby edited wholly ‘in camera’, using time-lapse and predetermined structure to reveal landscape as form and light. Le Grice similarly re-views landscape in such films as Whitchurch Down (Duration), but in a more intuitive and colourist way. Raban turned to the urban scene in such films as Time Stepping, which alternates different axial views of an East London street, while East London itself was to become prime subject matter for another filmmaker, John Smith. From David Crosswaite’s Choke, a two-screen film of Piccadilly Circus with rock soundtrack, to Paul Botham’s Eiffel Trifle, the urban scene was part of the LFMC’s image bank, although the constant appeal of landscape was also a hallmark. Here, the LFMC filmmakers linked back to the story of British art and to its fusion of the empirical gaze with the new scientific meteorology in the 19th century. Just as in that earlier meeting of Constable’s eye with scientific topography, so in the 1970s a painterly understanding of light and form met up with the mechanical apparatus of camera and printer. The romantic vein in this tradition continues with Larcher’s epic scale films, which celebrate the same interaction of the eye and the machine to expand sight. In 1975, the critic Deke Dusinberre posited a distinct ‘landscape tendency’ in the British avant-garde, and he curated a series of screenings at the Tate to prove his point. He connected landscape film to the art of John Hilliard, Richard Long and Hamish Fulton, who had indeed emerged from the same art college and concept art background as the LFMC. After almost a decade of process-led films, the image was back. In some ways this extended the field of what Le Grice and Gidal had called Structural/Materialism in the early 1970s. Gidal coined this distinctive term for the direction taken by British filmmakers towards a politics of vision, or of film as a critique of optical sensation. But these two leading and gifted filmmakers were in some ways also pulling in different directions. Le Grice eventually embraced Frampton’s ‘spectre of narrative’, and his vision has always been of the expansive sort. Gidal’s modernism was of the other kind: paring down and minimalizing the image, so that each frame resists the lure of unity and possession. His films are a running critique of their own viewing conditions, and internalise their pictorial codes, just as his mentor Samuel Beckett made loops of words and speeches to sideline the power of language to refer. In the art school tradition of the LFMC filmmakers, language as such was treated warily. Dialogue and voice-over were associated with mainstream drama and documentary. They rarely appeared until late in the 1970s, notably in Lis Rhodes’ invocation of a ‘woman’s voice’ in Light Reading (1979). Sound was disrupted and looped by Le Grice in Castle One and Reign of the Vampire, but much of the work made at the LFMC was characteristically visual and often silent. Anthony McCall and Annabel Nicolson explored primary projection, Marilyn Halford and Guy Sherwin combined projection with performance, Ian Kerr and Lis Rhodes made films in live projection by drawing and scraping on them as they passed through the lens. Most elaborate were Welsby’s gallery installations for multi-screen seascape films with text, charts and documents of the location. Ron Haselden also created large-scale gallery works with looped projection and contrasts between still and moving images. 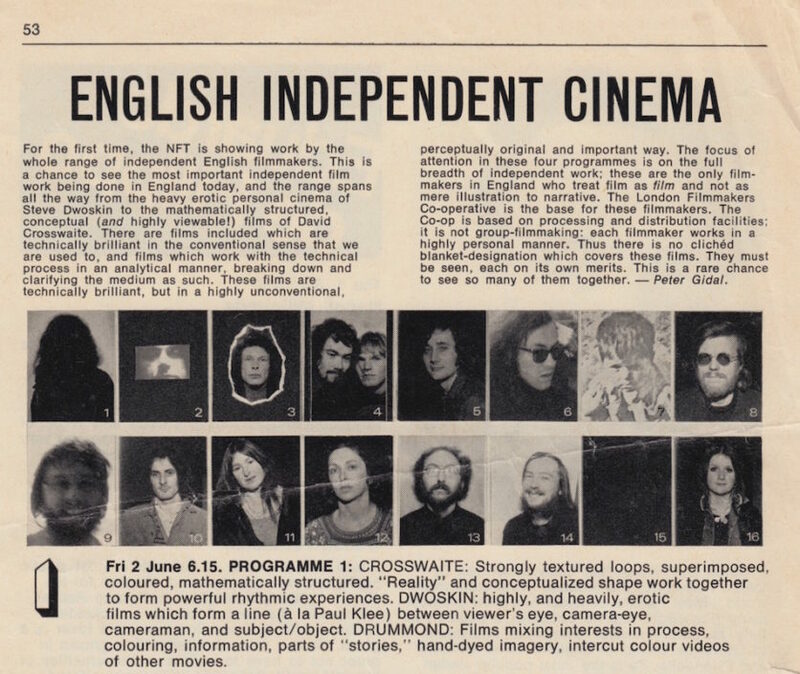 The Festival of Expanded Cinema at the ICA in 1976 revealed a whole new generation that included Steve Farrer, Bob Fearns, Chris Garratt, Rob Gawthrop, Nicky Hamlyn and many more. Performed at The Festival of Expanded Cinema at the ICA January 1976. A similar impulse to direct making lay behind the ‘expanded’ use of media in the early LFMC. The Bolex camera, which had been developed as a relatively lightweight news gathering instrument, was a versatile vision machine. Its engineering produced a new kind of cinema as filmmakers adapted its technology to their own devices. Springwound action, turret lenses and variable focus, rewind, overlaps, timed dissolves, autoaction, removing the lens, swinging the camera in the air and single framing appeared in many films. Such options for film vision, set free from the human-centred eye, were taken up by LFMC filmmakers in films like Lensless, Zoom Lapse, Knee High, Clockwise (Accept No Substitute), Shepherd’s Bush, River Yar, Colour Separation, Focus and Room Film. The literalness of these titles is striking. They name the process by which the film was made, or the location where it was shot. The content of the film can be deduced from its self-descriptive title, an idea also found in modernist painting and music. The films made at the LFMC were not the whole story. 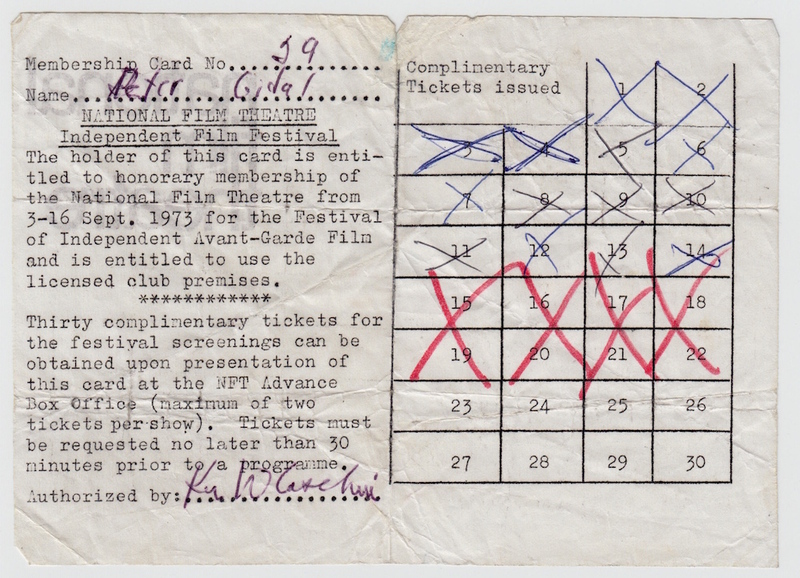 It took part in international festivals in London (1970 and 1973) and abroad, while Peter Gidal and John Du Cane publicised the LFMC and related National Film Theatre screenings from 1972-75 with regular reviews in Time Out. From the middle to late 1970s the LFMC attracted the cautious interest of Screen, then the leading UK journal of film theory. Gidal and Le Grice were persuasive and sophisticated voices in intellectual debate and in raising funds from the Arts Council and the British Film Institute. 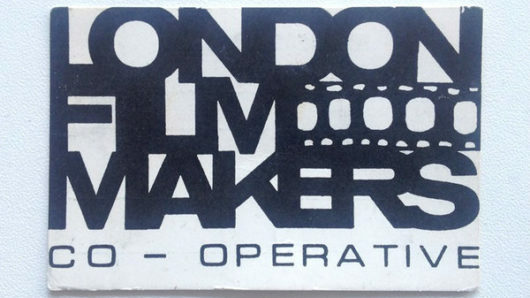 Through the Independent Filmmakers’ Association, founded in 1974 as a forum for filmmakers and theorists, the LFMC was part of a chain of campaigning workshops like the Berwick Street Collective (founded 1970), Cinema Action (founded 1968), Four Corners (founded 1973) and the Film Work Group (founded 1974). These and other factions also met and tangled at the RCA Film School, where Gidal and Dwoskin both taught from 1973, along with theorists Noël Burch and Jorge Dana. Different versions of film semiotics, experimentation and politics were hammered out. Gidal’s citation of Brecht ‘against representation’ was countered by the Brechtian ‘alienation effect’ in the drama films of Straub-Huillet. Both were critical of ‘visual pleasure’ in the conventional sense, but where Gidal turned to fragmentation and enigma, the political groups adopted the long-take and spoken text to disengage the viewer from the film spectacle. The more visual and celebratory side of the LFMC, including Le Grice’s lyrical colour films, eventually had an effect on the commercial world, which most of its members would have rejected had they known of it. This was its impact, both direct and oblique, on TV advertising and music videos, whose language of rapid cutting is largely imitated from the avant-garde, up to the present day. David Sylvester was one of the rare art critics who saw (and approved) this way of spreading the modernist message. For television, plagiarism is necessary. Similarly, LFMC expanded cinema long precedes the current enthusiasm for installation and projection art, but is rarely acknowledged. In part, this is due to a split between filmmakers and other artists which still persists. The LFMC itself had only the loosest alliance with video makers and other media artists. Consequently, London Video Arts (later London Electronic Arts) was founded in 1976 as a separate group. Video had been profiled at the Serpentine Gallery in 1975, and then at the Tate in 1976. It was already developing distinct concerns of its own, from real-time viewing to television ‘interventions’ and gallery space. Twenty years later, the LFMC and LEA finally merged in the Lux Centre. The centre closed after five years in 2001, but the film collection and key workshop facilities remained open as a holding operation until a new organisation, now called LUX, was formed. In this sense, with several hundred members as well as an extensive distribution archive of classic and new work, the LFMC has not yet vanished. Its history was made up of such crises. Commenting on the period of the structural film in the early 1970s, David Curtis wrote, “for me its rigour is inextricable from the physical deprivation of the Prince of Wales Crescent building”. At an all time financial low, he adds, the LFMC was only held together by Gidal’s and Le Grice’s “will to survive”. It was under these conditions that genuinely new ideas emerged. From LFMC experimentation sprang a kind of filmmaking which was related to but finally distinct from the contemporary films of Gilbert and George, Gordon Matta-Clark and Marcel Broodthaers, to take a random sample of artists. In their cases, film extended or documented their practice in other media, as it still does for artists from Bruce Nauman to Tacita Dean. The LFMC – in the spirit of Deren and Brakhage as it happens – was committed to film as an independent art form. The conditions of making and projecting the film were taken to be internal aspects of the art form, to be investigated as its major content. Here it led film way beyond its key aspects as a document or a record, let alone a narrative. The LFMC had little interest in the mainstream cinema, except perhaps to oppose it. Most of its films descend in a straight line from Lumière and Méliès, bypassing the narrative cinema. It opened the gates for all kinds of experimental filmmaking that explode the classic rules of cinema. This was far from the intention at the time, but from the mid-1960s the LFMC was laying out the basic map we all still use in time-based media. New roles were explored for maker, for viewer and for the space – the viewing space, be it cinema or installation, live performance or film projection – which stands between them.